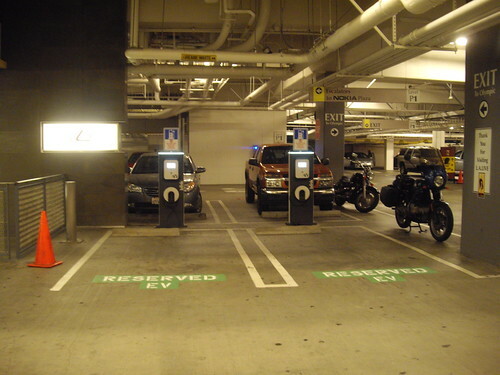 So, it looks like some folks over at the Nissan Forums are not so interested in the Staples Playoff weekend, and in order to get them anyone else who may not be a Sports fan to the Charger information sooner, I’m reposting the sections on the TEN (10) Blink Network chargers at L.A. Live as well as updating some of the information. [Updated for Kings game West Lot using a Kings pre-paid ticket, I believe that on game days, the parking at that lot is restricted to those attending the games during the game hours, but open otherwise.] The main takeaway from the game day update is this. 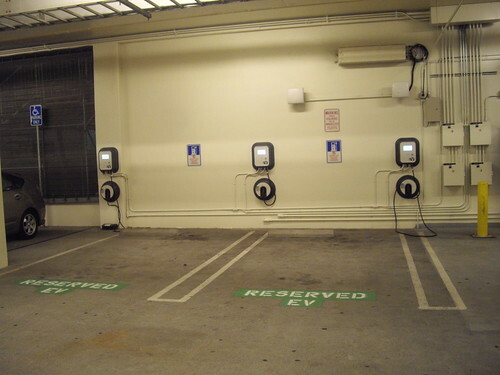 You need to advise the attendant upon entry that you will be using the chargers. 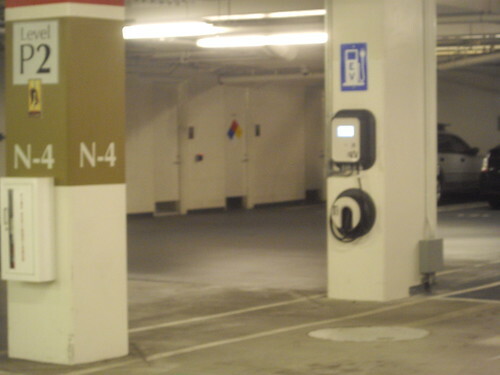 They will have you proceed forward and DOWN the level where they will then re-direct you to an exit and you will need to exit the garage at ground level and re-enter the same garage in Entry E. Pull a ticket and keep it on your car. 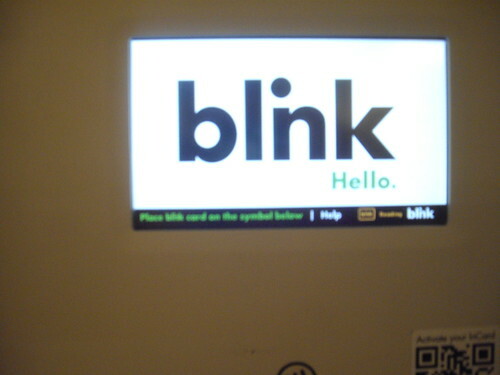 Charge at the Blink charger as usual and you will need to exit the garage with the ticket that you took to enter the garage AND present your prepaid game parking ticket for Lot W so that they don’t charge you again for parking. It’s clear as mud. Across the street from the Staples Center is L.A. Live. An entertainment, retail, restaurant, office, residential, and hotel complex par excellence. 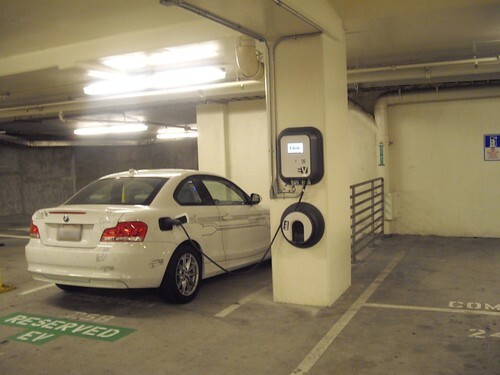 Currently charging is free, but the parking could be free (on non-game days AND with a minimum at one of the restaurants at the complex) to very expensive $30-$40 for the day. 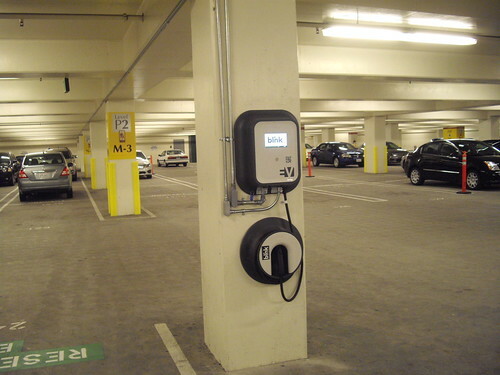 There are four chargers in the West Parking Lot, these are at GROUND Level, around the corner from handicapped and the entrance. It’s almost adjacent to 11th Street. 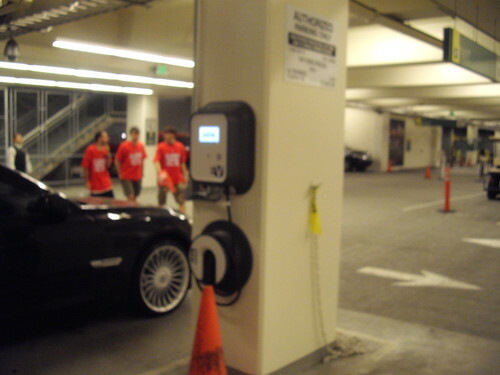 This lot is also known as Lot W for those holding a Staples Center tenant pre-paid parking pass. 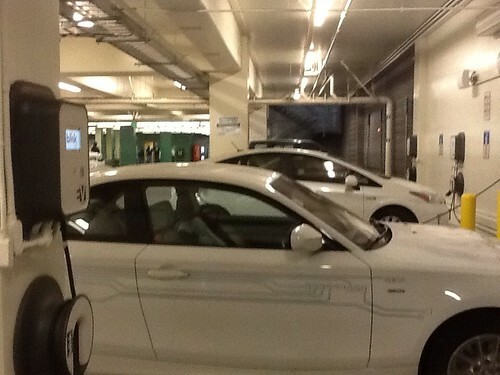 Here is another shot with the ActiveE in the foreground. The Valet Parking is $40 for overnight guests. Charging is free. An update to this information is if you’re visiting WP24 (the restaurant and lounge on the 24th floor of the Ritz Carlton), the parking is reduced to $10 for dinner and I believe for 2 or 3 hours if you’re only going to the bar/lounge area, contact the restaurant for further details Phone is +1-(213) 743-8824. If you’re interested in reading about the Staples Center Playoff Weekend, read the next post that this was abbreviated from. Thanks Dennis! I’m sure the Lakers are a fine sporting collective, but it’s definitely the charging most EV nuts will be interested in. LOL! 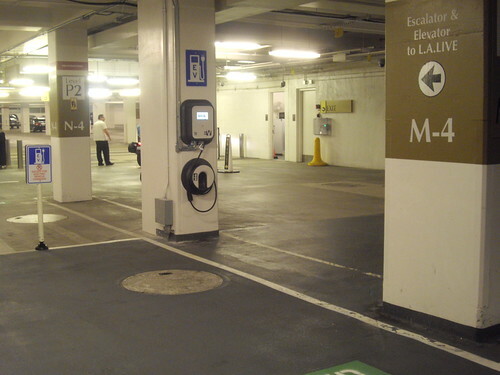 Glad I could help answer some fellow EV driver questions on the new Blink Chargers at L.A. Live. Even happier that they’re operational. Previous Previous post: THE Sports and Entertainment Capital of the World – Staples Center and L.A. Live!